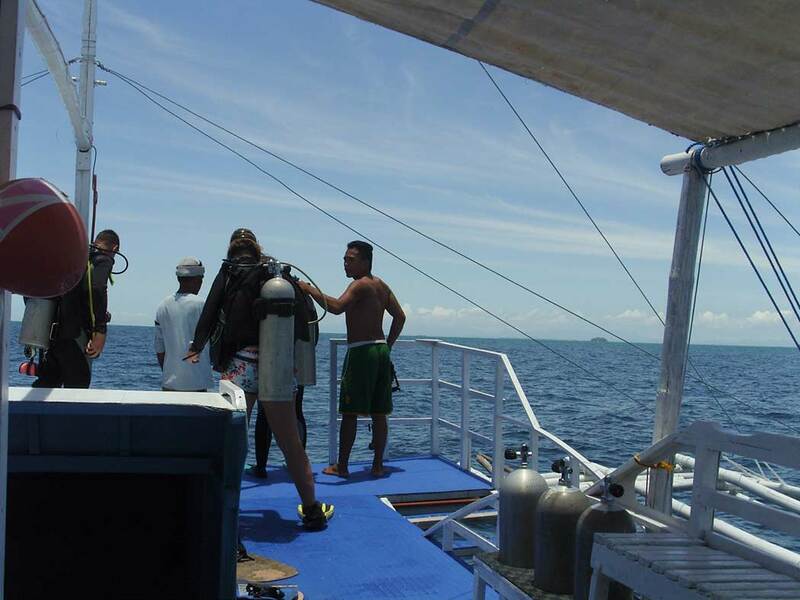 I joined the boat expedition with a part of the diving team which was looking for new survey sites in a protected area. Some local fishermen came with us, the aim was to show them the disaster, dynamite and general pollution may have on corals. The fact is that dynamite destroys corals but if there is no more coral there will be no more fish, so, by using this method of fishing, fishermen kill their own activity. It also means that if there is no more fish, there will be at the end, no more Thresher sharks in the region, the principal source of income on the island. The only advantage fishermen find in using dynamite is that it is a quicker way to get fish. However, it is not efficient because only 20% of the fish killed rise to the surface while the remaining part will never be used. Then, it is also a dangerous method for fishermen themselves, many lost their lives because of it. Klaus, one of the volunteers, made some videos and took some pictures underwater to show them how it looks like and what we should preserve. Fishermen go by the sea everyday but lots of them have never explored underwater so they don’t really know how rich is this hidden world. Then, if they understand the importance of using sustainable fishing methods and share their knowledge with other fishermen, they will have a positive impact on Malapascua environment and economy. Then, another day I went to the mangrove with the local interns. Isabel, Laramie, Jay, Syldred, Arianne and Joewin work at PepSea office for summer, they are in charge of different community programs and share their positive energy with us everyday ! 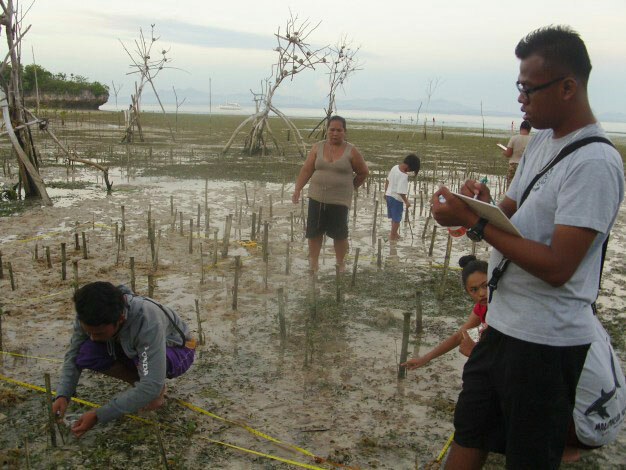 Thanks to them I now know why it is important to have mangroves on islands like Malapascua, where the coastal zones are fragile. In case of typhoons, the mangrove will break the waves and reduce their impact on land. 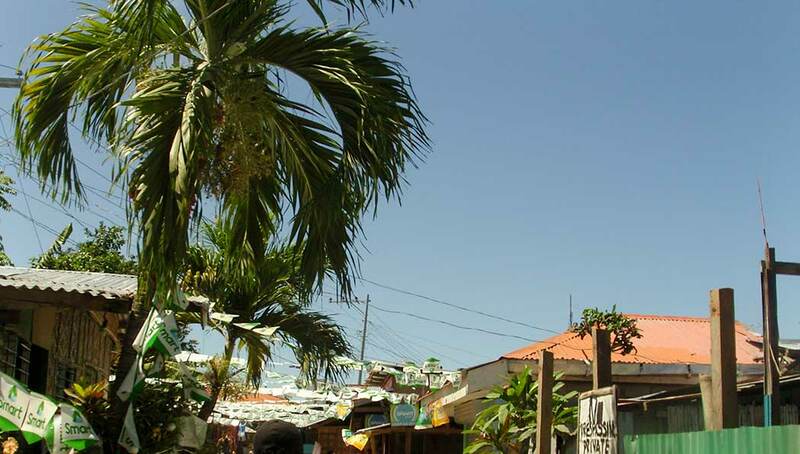 The last typhoon, Yolanda, in 2013, had important consequences on the island, it destroyed many infrastructures. Mangroves are also important for the marine ecosystem : small fish use it as a shelter to grow and move to the sea when they get bigger. 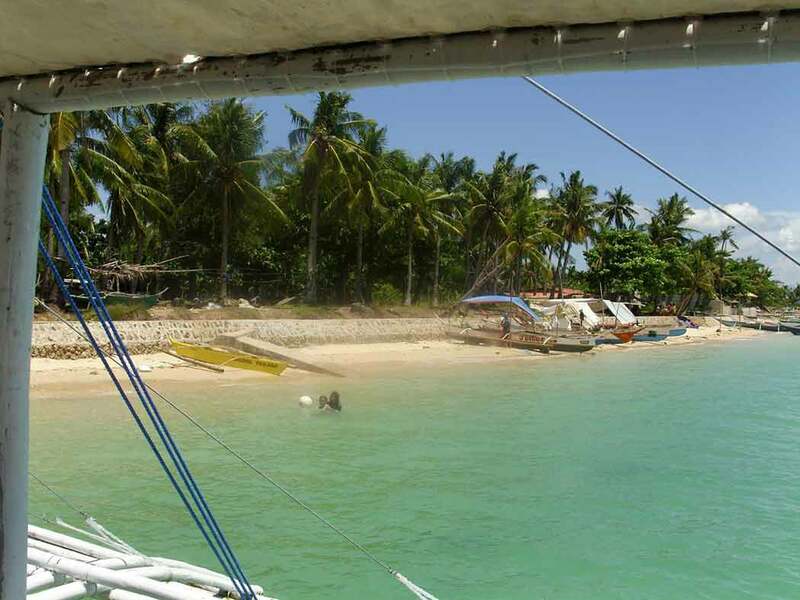 By years, it might increase the population of fish around Malapascua. We went to make some surveys about the mangrove evolution, we took notes of plants length, number of leaves and their aspect (healthy or damaged). All those data are then saved on the current database and allow a better understanding of the local environment.